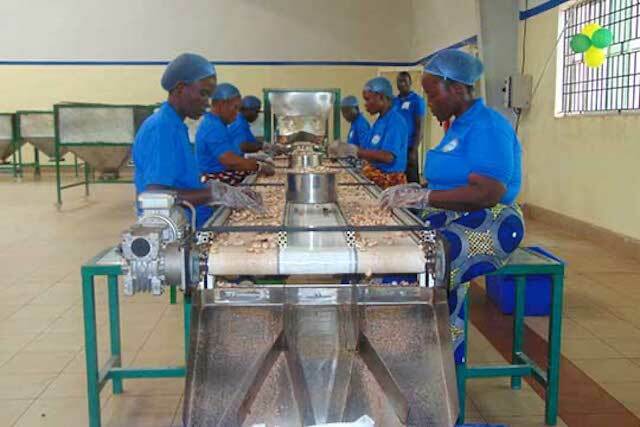 With technical expertise and training from TechnoServe, a Benin-based company has established a world-class cashew processing facility that prioritizes social and environmental responsibility. Women make up more than 85 percent of the workforce at Fludor's cashew processing plant in southwestern Benin. Between its state-of-the-art equipment and progressive labor practices, Fludor Benin’s cashew processing factory represents a new horizon for the cashew industry in Benin, and Africa at large. The bustling 185,200-square-foot facility, which opened in early 2016 in the town of Zogbodomey, is already processing 5,000 metric tons of raw cashew nuts a year. At full capacity, Fludor will process 15,000 metric tons – increasing the country’s domestic production by at least 15 percent. Beyond boosting Benin’s cashew sector, the company is driving economic growth in the surrounding region and modeling best practices in social responsibility. 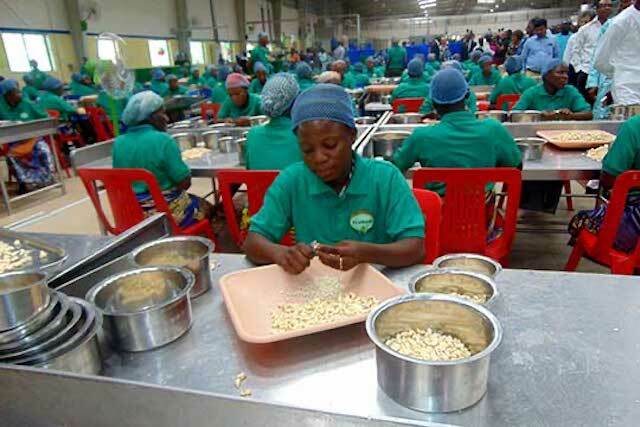 The plant currently employs 560 workers in its cashew factory, more than 85 percent of whom are women, and will ultimately employ twice that amount. In creating an exemplary processing facility, Fludor Benin SA, a member of the TGI Group, benefited from technical advisory support from BeninCajù – a five-year project funded by the U.S. Department of Agriculture (USDA) and implemented by TechnoServe in partnership with Catholic Relief Services. Launched in late 2015, BeninCajù seeks to strengthen and expand the cashew sector into a more productive, competitive, sustainable and inclusive economic growth engine for the people of Benin. 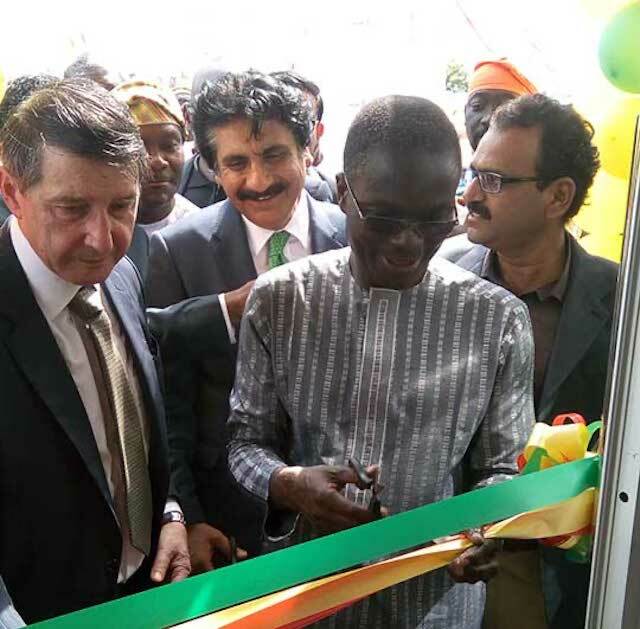 Roland Riboux (left), CEO of Fludor Benin, and Lazare Sèhouéto (center), Benin's Minister of Industry, Trade and Handicrafts, cut the ribbon inaugurating the Fludor Benin factory in July 2016. Fludor Benin leveraged its strong manufacturing background to establish a world-class facility with global food safety standards, linear process flow and good infrastructure. BeninCajù became an important stakeholder providing technical expertise and training. TechnoServe facilitated an initial supervisory training program to 38 middle managers, and further coordinated with Fludor’s team to train more than 700 workers on productivity, work safety and good manufacturing practices. In addition, TechnoServe is working with Fludor to develop a food safety management system that addresses compliance through certifications such as HACCP, ISO-22000 and other rigorous standards. “Insofar as Fludor focuses on long-term investments for sustainable socio-economic community development, TechnoServe’s assistance was invaluable and decisive,” said Roland Riboux, CEO of Fludor-Benin. The company is taking a comprehensive and environmentally responsible approach to cashew processing, where nothing is wasted. 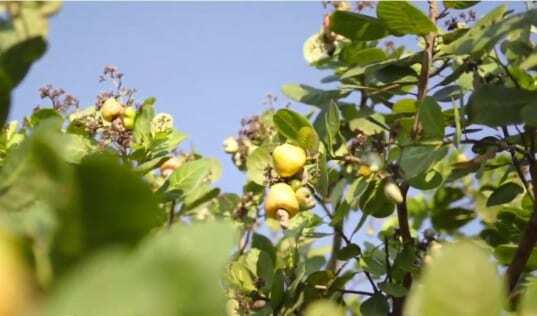 Fludor is even utilizing the cashew shells, commonly a waste product, to produce cashew nutshell liquid (CNSL), a versatile biomaterial that can replace chemicals in paints and varnishes. Furthermore, Fludor is developing a sustainable supply chain, helping to improve the livelihoods of thousands of smallholder cashew farmers in the region. To ensure high-quality cashews and long-lasting relationships, Fludor will provide training to farmers in good agricultural practices, while supporting the formation and strengthening of producer organizations. By 2020 the company plans to source directly from 20,000 farmers. Workers inspect cashew nuts for quality in Fludor’s new processing facility, which balances automation with manual labor. Fludor prioritizes fair labor practices, safe working conditions and an inclusive work environment. Balancing automation with manual labor, the plant was laid out to enhance the welfare of its workers. It even includes a top-notch restaurant that provides two free meals a day. The new factory guarantees that zero child labor is involved and is emphatically committed to women’s empowerment. From providing on-site child care to installing proper bathrooms, Fludor strives to meet the needs of its female workers, who constitute the vast majority of the staff. Going the extra mile to ensure work-life balance for its employees, Fludor is setting up satellite plants in the region so that women can work closer to home. For many female employees, this provision saves several long hours of travel each day. One ancillary plant employing 190 women is already operational in Bohicon – 8 kilometers from Zogbodomey, where the main plant is located. The company plans to open six additional satellite facilities, which will be managed by local entrepreneurs. With its socially and environmentally responsible, comprehensive, and productive new processing facility, Fludor Benin has set a higher standard while leading the country toward a more sustainable and competitive cashew industry. 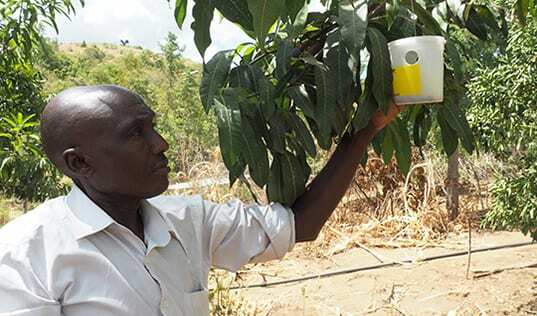 TechnoServe and the Rockefeller Foundation partnered to reduce post-harvest loss in Kenya's mango crop through the YieldWise initiative. Following a post-project evaluation, TechnoServe's YieldWise Program Manager and Rockefeller Foundation's Associate Director for Africa discussed the project's most significant findings. 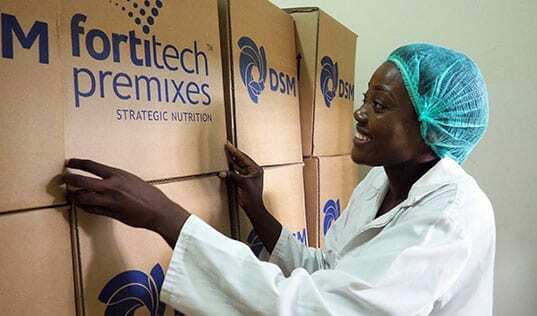 African food processors are combating malnutrition with support from food technologists and business advisors.